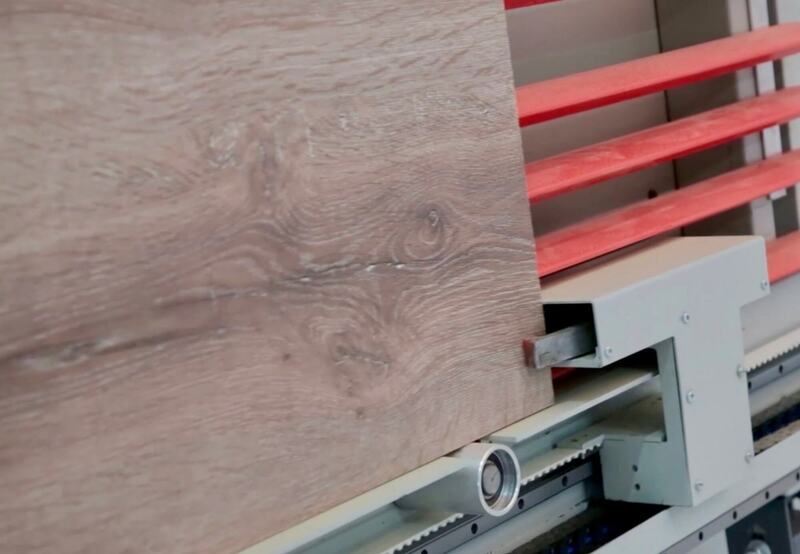 Cutting Panels mm.5100×2100. PC Control Panel with Software Optimizing Panel Cuts. Automatic cutting program . Automatic positioning system. Automatic lift system. System with Scoring Group. 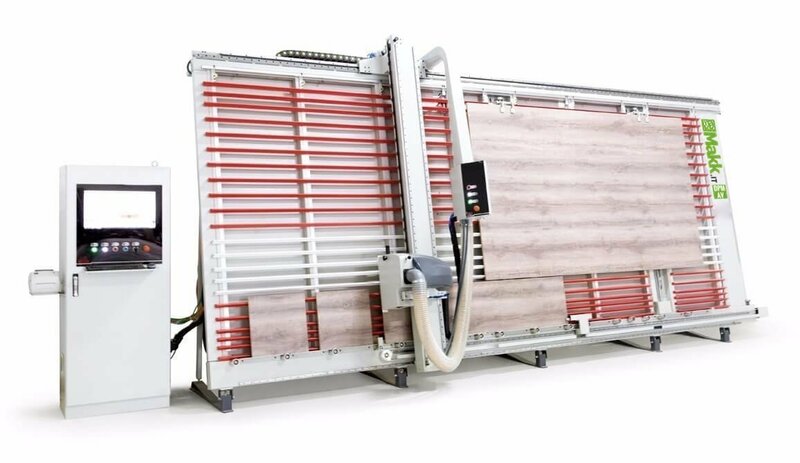 Cutting Panels mm.5100×2100 (3700×2100 with optimizer). PC Control Panel with Software Optimizing Panel Cuts. Automatic cutting program. Automatic positioning system. Automatic lift system. System with Scoring Blade. Machine for cutting panels either in vertical or in horizontal, for all cutting needs, with the best quality/price ratio on the market. PC Control Panel with Software Optimizing Panel Cuts (3700×2100). Automatic Positioning System. 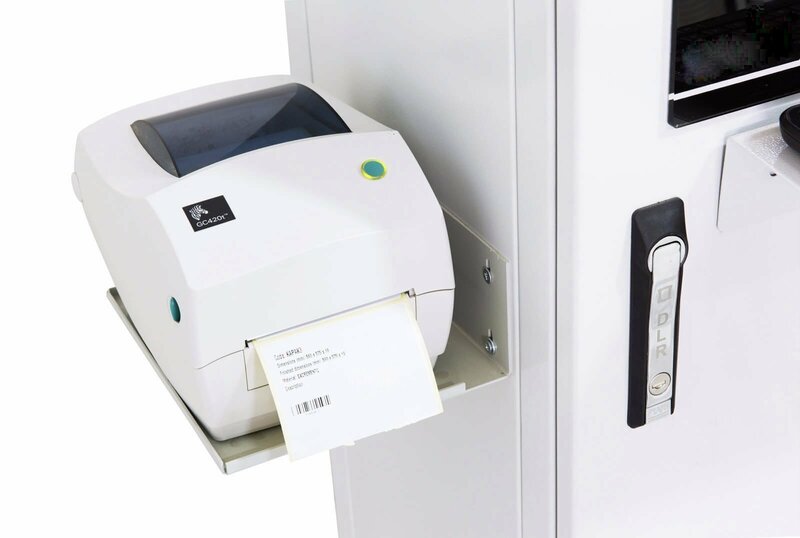 The machine automatically switches to the vertical and horizontal position by automatic positions system. Operators make non intervention during the sizing process with DPM-AV that is developed model. 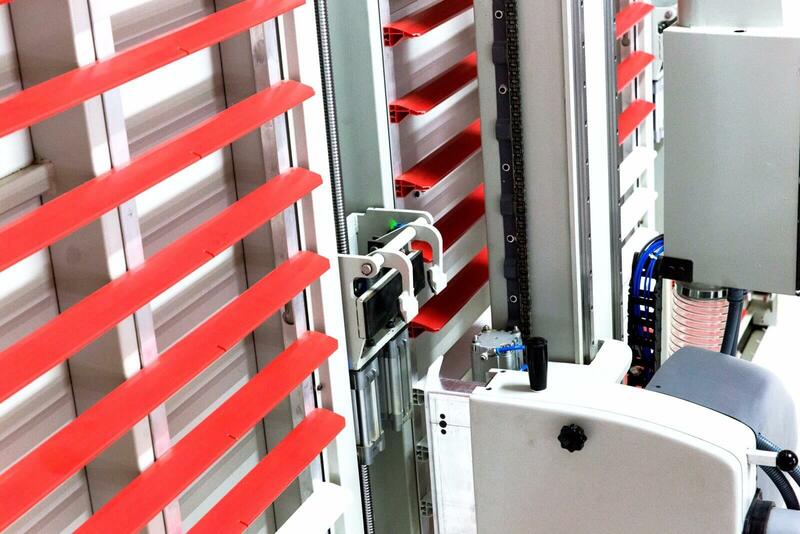 Where by panel lifting system on the DPM-AV model, sizing process completed while panel staying on the machine. 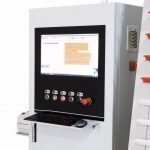 Where by automatic cutting program; which coming with bread new DPM-AV; operators enter the valute to information display and sizing process will completed automatically. 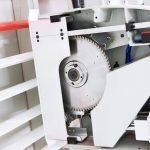 Automatic lift system supplied together with DPM-AV model exhibits the difference of vertical panel saw machine once more. Thanks to the system, even a single person can handle and cut into desired size the largest panels without using any power. 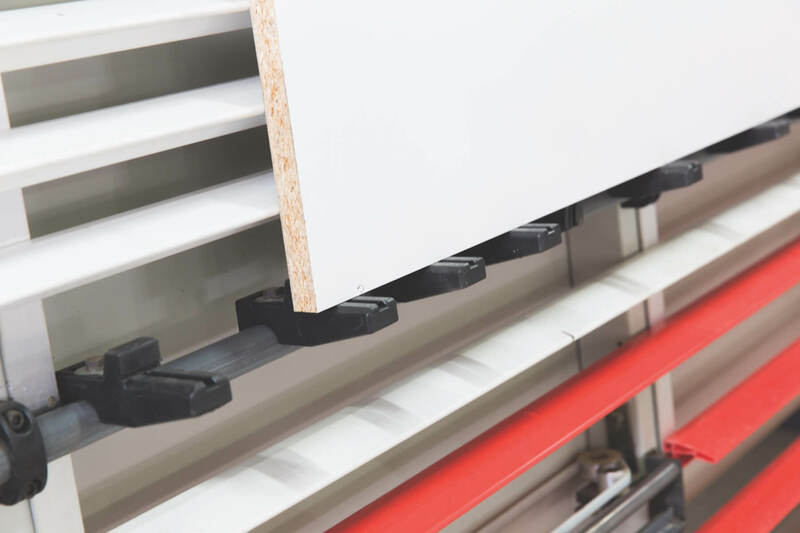 Precise cutting operations can be performed without being exposed to any friction and force since system takes panel weight. Sizing with a high precision can be obtained with PC controlled accurate stop system. 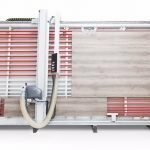 Pneumatic lift system available with DPM-AV model facilitates the work of users considerably by trimming bottom of a panel and provides operation without any trouble. 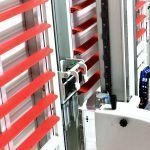 Precision-machined, high quality load bearing rollers equipped with double bearings with helps operator to a great deal allowing panel to travel on the machine easily. 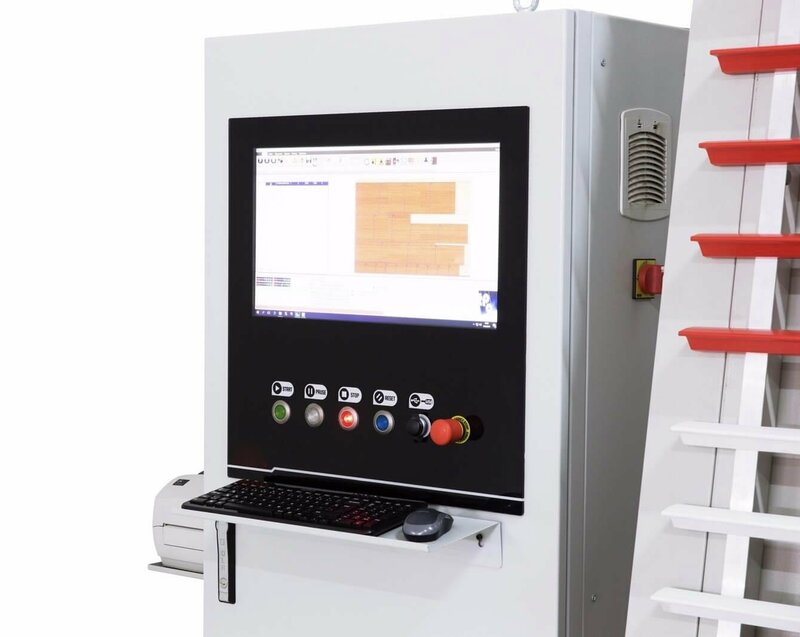 Whereby the values and quantities which entered the program, parts positioned with 0,1 mm precision and sizing, than process is completed with fully automatic panel drive system. 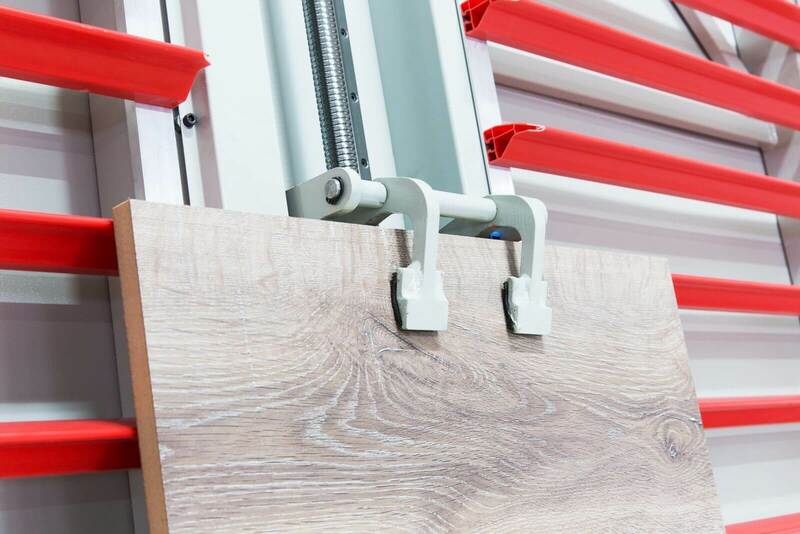 Panel Clamping System by Pliers. The system of clamping pliers of panels used for the mod.DPM-AV, highlights once again its peculiarity in the vertical cut. Thanks to this system, even one operator can cut in the desired dimensions great panels, too, without the least effort. By the PC control system you can make cuts. 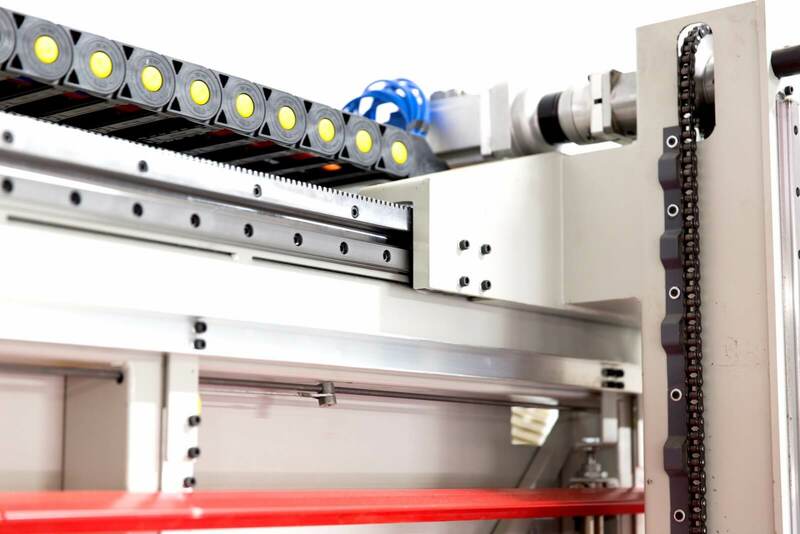 Through the pneumatic clamping system of the mod.DPM-AV, panels can be trimmed in the lower part. Therefore, operator’s work is extremely facilitated allowing to make a cutting operation without effort and with the maximum precision. 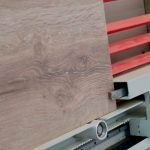 The scoring group of the machine allows to avoid the possible splinters that can be caused during the cutting operation of ennobled, veneered panels. 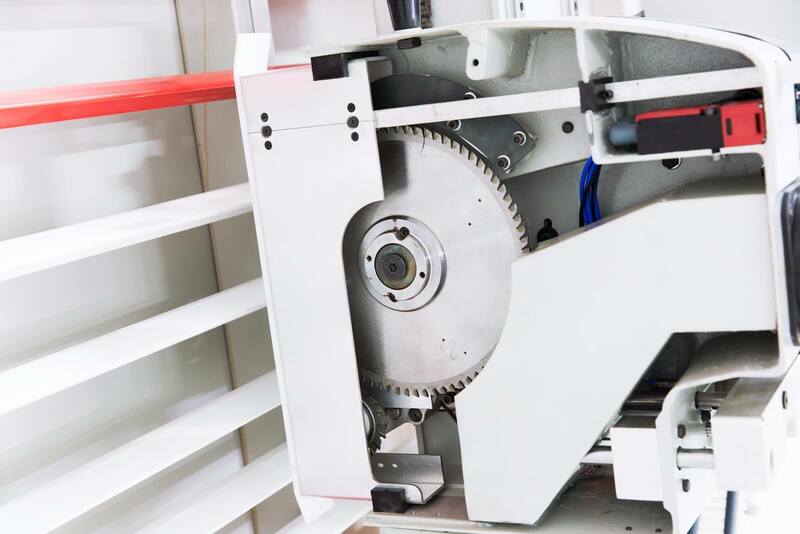 The double bearings wheels for panel sliding – of high quality and carefully worked – allow panels to slide freely on the machine. 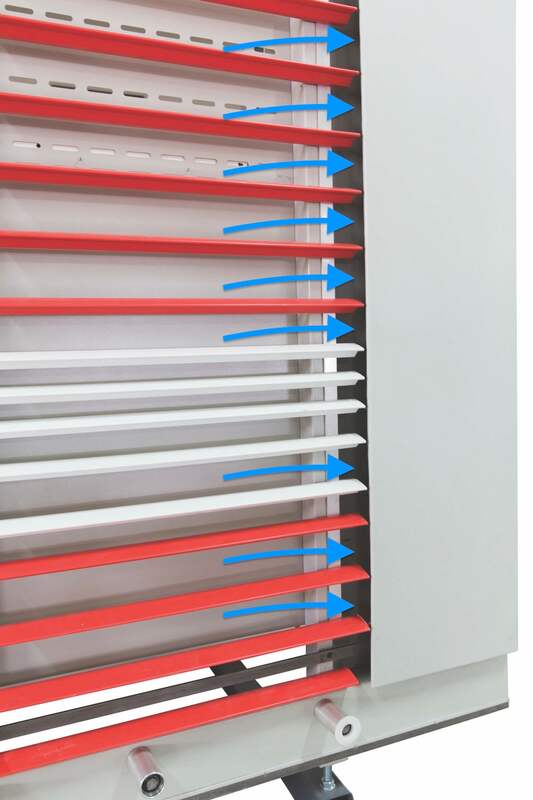 Panel is protected from damages during horizontal ripping operations due to automatically traveling panel system. 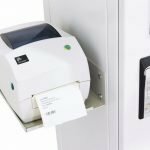 – Completely welded frame, with panel support table with PVC-profiled listels, that can be moved automatically in order to avoid the contact with the circular blade in horizontal cuts. – PC Control Panel with Software Optimizing Panel Cuts. – Scoring group with circular conical blade, with belt transmission. 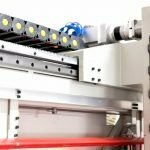 – Automatic movable table, with pneumatic operation. 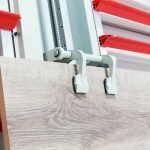 – Panel Clamping System by Pliers. – Automatic Panels Lift System. – Tilting device for support of small pieces to be cut. 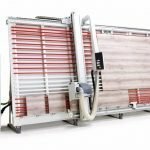 – Inverter for adjustment of the rotation speed (500/4500 r.p.m.). – Electrical predisposition for simultaneous ON/OFF with suction group. – Mechanical positioners for horizontal cuts. – Upper and lower ball recirculation guides, for greater precision on machining, longer life and reliability in sliding. – Nr. 2 wings for vertical cuts. – Lower panel supports with metal wheels. – Instruction manual and service keys. – Circular blade HM scoring group. – Rotation speed of the circular blade: 500/4500 r.p.m. – Rotation speed of the blade of scoring group: 7800 r.p.m. – Total weight: 900 Kg. 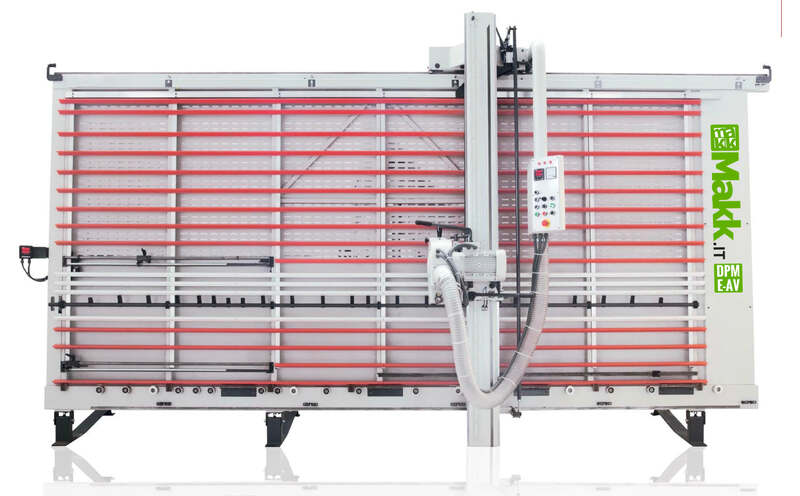 AUTOMATIC VERTICAL PANEL SAW MAKK Mod.DPM-AV – CE Cutting Panels mm.5100×2100. Automatic cutting program. Automatic positioning system (OPS). Automatic lift system. System with Scoring Blade. 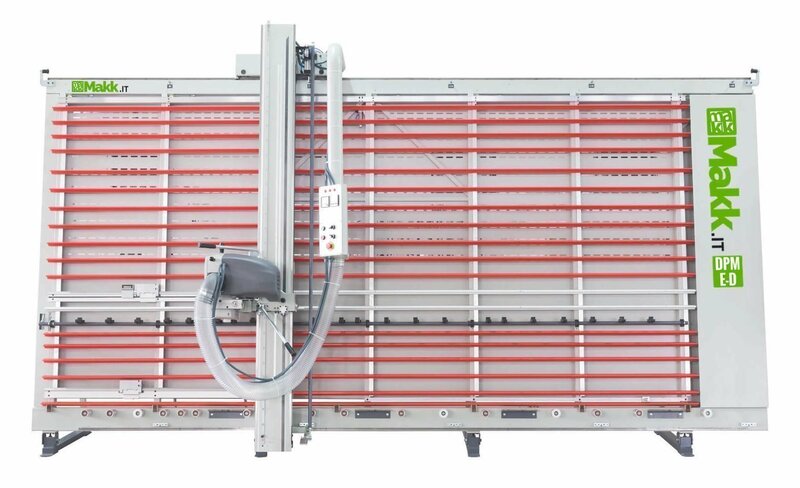 Machine for cutting panels either in vertical or in horizontal, for all cutting needs, with the best quality/price ratio on the market.